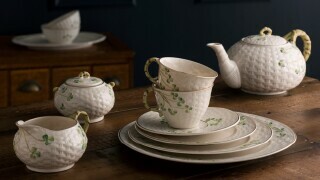 Galway Crystal have introduced one EXCLUSIVE package for Belleek.com only. 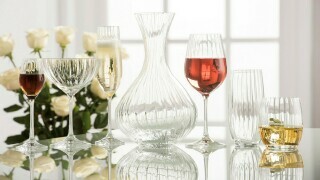 This set includes all of the Galway Crystal Erne Best Sellers at a discounted price just for you. 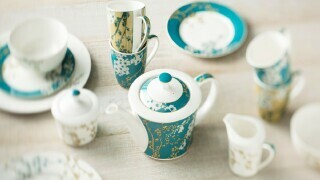 This is the most perfect Wedding or New Home Gift. 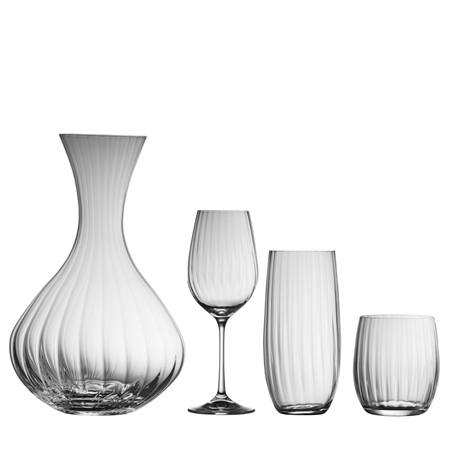 Set Includes - 4 Erne Wine Glasses, 4 Erne HiBall Glasses, 4 Erne Tumbler Glasses, 1 Erne Carafe. A beautiful set of contemporary style crystal ware! Very well crafted, thin edge glasses and decanter, the set is a pleasure to use. Also, a lovely delicate addition to your display cabinet while not using them. Thank you. This set is beautiful. It looks stunning, the small glasses are perfect for water or spirit/mixers, the larger glasses are excellent for water or long drinks, and the wine glasses are a good size for both red and white however we use ours for white/rose as we prefer a bucket style glass for red. One thing to note is that the rims are very thin so if you like a thicker rim, id try something else.